Cars parked on the street will be especially vulnerable as temperatures hover below freezing. Fill your gas tank tonight. It'll reduce the chance the water vapor in your tank will freeze and block your fuel line. Be sure to put air in your tires. As the temperature drops, tire pressure deflates. Check your battery, clean off the terminals. 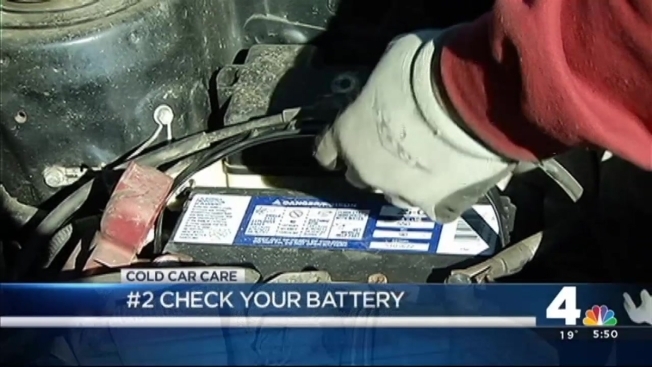 An old battery is going to have trouble starting your car in the morning. Make sure to top off your radiator antifreeze and de-icing windshield solution. If you find your car door locks frozen in the morning, try dipping your key in rubbing alcohol and insert it in the lock. It will defrost the ice and the key should turn. Keep it clean: Get your car to the car wash frequently to scrub off de-icing chemicals and salt. Besides eroding your car’s paint, these items can also reduce visibility by clinging to windows and mirrors.